Being at DC has to be hell. Every publisher is hitting the headlines with announcements for 2014. Marvel alone has over twenty titles lined up, but DC, they're staying Mum until Forever Evil ends in March. March solicitations should fall next week. 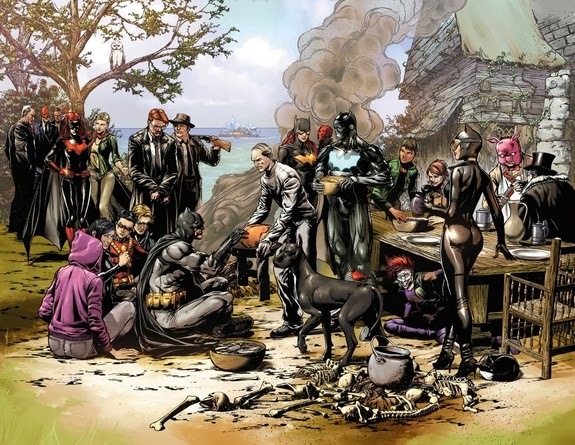 If Forever Evil has proven one thing, it's that DC's characters dipped or drenched in wrong are more varied and richer than their wholesomely flavoured foes. Be it an anti-hero like Black Adam or a crew like Captain Cold's rogues, a book or books dedicated to keeping this ball in play has to hit. A rebirth of The Secret Society Of Super-Villains, that didn't stop at a membership of one hero's foes, would be perfect. As would a revitalised Suicide Squad, born of the same. No doubt that sentence sends DC into fits of laughter, regardless, their one drip of 2014 news has been Batman: Eternal - a weekly book and massive budget commitment for bat-fans. Acknowledging that sacrifice could lead to dialing back the number of bat-titles during the year long event, with Talon, Batwing, Batman: The Dark Knight (which has no unique niche), and big mess not a hot mess Birds of Prey top picks. Catwoman has been universally panned and with good reason - this is not the Ann Nocenti who wrote Daredevil. Relaunch this, Birds and obvious Forever Evil reboot boy Nightwing together, heck I'd even sacrifice a new Birds of Prey series for a decent Black Canary one, because a) the character deserves it, and b) she is not currently in that book, despite the plot trying to tell us otherwise. The best thing about the launch of the DC52 and the resulting waves of titles were the concepts that got a chance to shine. Etrigan, Amethyst, Dial H, Swamp Thing, OMAC, the characters were just as diverse as the genres. Western, action, fantasy, war, horror have all pretty much collapsed, with the same superhero voices coming to the fore again. 'Why risk a new character or Doom Patrol when we can spin off the current hot Lantern colour?' is an accountant argument if ever there was one. Comics were best when publishers put a chance on creative teams debuting books of deserving characters to see if any caught fire. For the first few waves, DC was that company again. Now it's Marvel's crown. DC, are we going to let them keep it? Rights issues mean Marvel has to sit on the brilliance that is the Ultraverse, until the mass public forgets to care, but DC would be the biggest fool unhung if they let that fate befall the Wildstorm creations they own the rights to, whether that future is still as part of the DC52 or their own respective world once more. The floating indecision of Wildstorm needs to find ground soon. The characters have currently been absorbed into a supporting nature within the DC52, even the Stormwatch holds that to be true. Wildstorm right now reminds me of the other astronaut in Galaxy with George Clooney and Sandra Bullock. Just reading that line knowing story tradition tells you what happens to him. Don't let WildC.A.Ts go the same way. What do you think? What do you hope DC's next wave will include? Digging this the topic on this one Dan. 1). I personally wouldn't mind an all-new SSSV myself. I think dependong on the ending, this one more than any other option listed here has the best chance of happening. I mean just because the CSA will eventually be taken down by the good guys w/one hell of an assist by the bad guys, I don't seem them just easily breaking up and going back to busines as usual. Especially Luthor since I'm pretty sure he'll be one of the main ones responsible for the ending of the mini. 2). Other than diehard fans, I don't see BoP lasting, nor Talon. Catwoman probably will, just with a new creative team, and depending on what they do with Nightwing, it may or may not last or be kept with a new Nightwing possibly. 3). I pray for a return of the Doom Patrol myself Dan, but I just don't see them being treated with the respect they deserve by the current regime. And yeah, they're also a title that never lasts long. But wouldn't be cool, if we had a result that mirrored the ending of the Onslaught saga, where the secondary heroes get a chance to shine with their own titles like we saw in Marvel in 97'? 4). Lastly, no. Wildstorm has no more relevance anymore since DC neutured them. They worked best as their own universe, not intergrated in a universe where they'll always be 2nd or 3rd-rate, and seen as poor substitutes for the real thing. 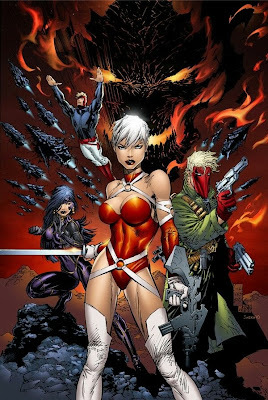 The real Wildstorm died R.I.P in 02'. Unless they plan on going back to that edginess that defined them and made them standout, then leave 'em be. Thanks Dale! Glad you liked some of the ideas! It's odd you mention the Heroes Reborn return thing because like you say, it seems to be the way DC has tried to go with 1 Year Later, and removing the trinity from the board the times they have, that that formula is high in brainstorming meetings. I'd like like them instead to try a Marvel Knights approach and heavily push all new talent on next row back creations. DC needs new blood and new styles - especially artists who don't all draw like Ivan Reis or David Finch. Giving Wildstorm their own universe again could be the perfect shot at this. How a JLA can ever exist in a world with an Authority was always going to be a hard sell, but where's Deathblow? Grifter? Even the Daemonite threat has pretty much been laughed at in continuity. Enough 50/50. You'll never swim if you only dip your toes in. Over on Flowers and Fishnets - the official Black Canary blog that I frequent daily - the current Canary we see in the Nu-52 comes in for a helluva lot of criticism, most deserved. This Birds of Prey is badly plotted and has no stable characterization - the whole thing co do with a reboot. Same with Catwoman - ugly art, unpleasant characters...again, another reboot is needed. Not a patch on the Jim Balent/Paul Dini versions. 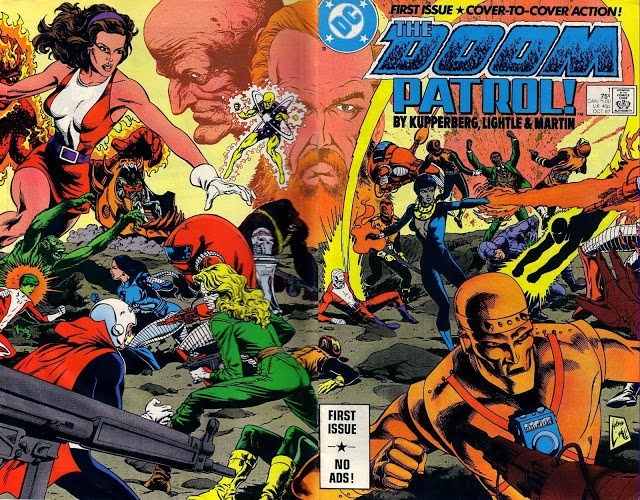 I echo of course a Doom Patrol reboot - who doesn't? An Omnibus collection of their Eighties heyday would be a great way to kickstart a revival, starting with reprints of the first issue seen in your post, Dan. Hey Karl - thanks for the comments and insights Mr - glad you agree! I'm always surprised at Catwoman. She is a bigger icon in the real world than Green Lantern, Flash, and arguably even Wonder Woman, yet I never feel her solo book gets treated with that level of respect. Ed Brubaker and Tim Sale also did great runs, but otherwise Selina is just a monthly example of sales that should be going AWOL on a monthly basis. oh i remember when that late 80s Doom Patrol series came out. i was just getting a bit familiar with DP prior to issue 1 hitting the stands. but i dropped that series after issue 3 it just didn't grab me. It would be the ultimate cover enhancement if it did Dave ;) Still what a cover right? 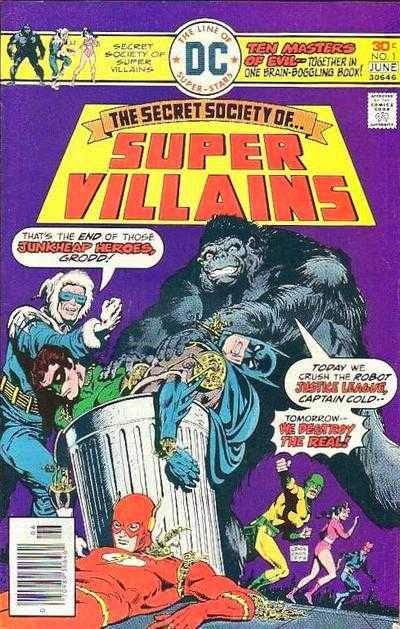 I think it has to be one of the defining covers of 80's comics. It really looks like a Doom Patrol, and perhaps the turning the guns and grimaces before X-Force stepped in. now that Storm Warning part of your posting, that's what i call cover "enhancement". I'm with all these choices, but I also want DONNA TROY. Seriously. Give me back my girl. Slip her into the cataclysm. Whatever. Think of something creative. Just bring back DONNA TROY. I'm with you Random. Wouldn't it be cool if that missing generation of Titans, Tempest, Donna Troy, Wally West - are the folks that save the DCU from the nastiness of Forever Evil? I wish Donna would return too - this current iteration of WW is so unlikeable amongst her fans, I almost wish this was actually Donna in disguise, as her character is more in suit with the lovely Ms. Troy. Maybe this new after the 52 or whatever it is may bring her back. Yes Karl, something big is brewing over at DC. My bet, they'll announce it just before breaking for Christmas and let fans stew on the announcements over the holidays.